Whether they are hunting Easter or Spring celebration eggs, need to take 6,000 Shopkins to the restaurant, or want to collect rocks at a local park, the Cinderella Satchel is the perfect shape and size to give them some independence and responsibility to carry their things themselves. 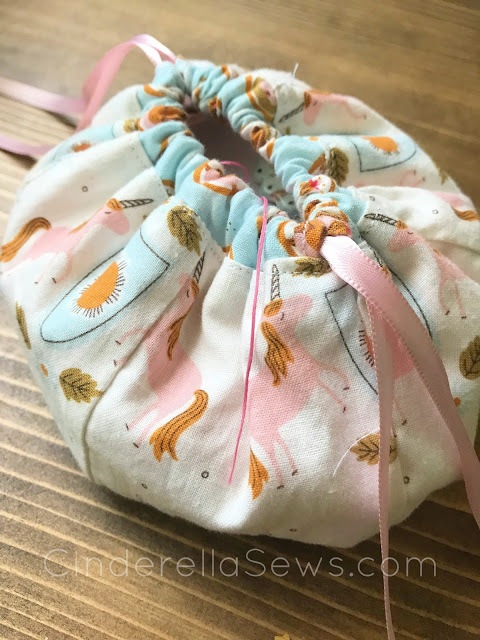 A snack bag for Disney World, a sock holder for their suitcase, or a portable home for their Miss Marie Mouse and her accessories, the possibilities are endless. 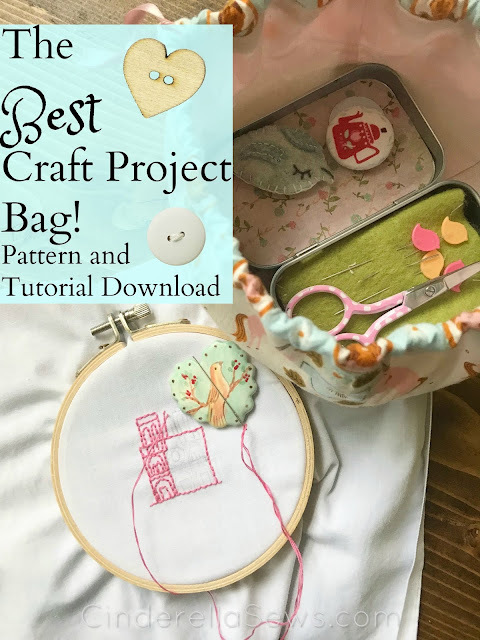 Let them choose their patterns the next time you happen upon a stash at the thrift store or scroll through adorable Japanese fabrics and have them help make it! My 5 year old is totally fascinated with the sewing machine and loves sitting in my lap, pushing the fabric through the needle. See how Jennifer's daughter at Teach.Workout.Love uses her Cinderella Satchel in her review post here. Although not a sewist herself, she was excited to receive one of my pre-made satchels featuring Mary Jane's Farm fabrics bursting with pastel eggs and chicken scrawl. I like keeping my small projects organized. Being a homemaking mom to two boys of 3 and 5 means if my projects can't walk the house with me, they won't get finished. 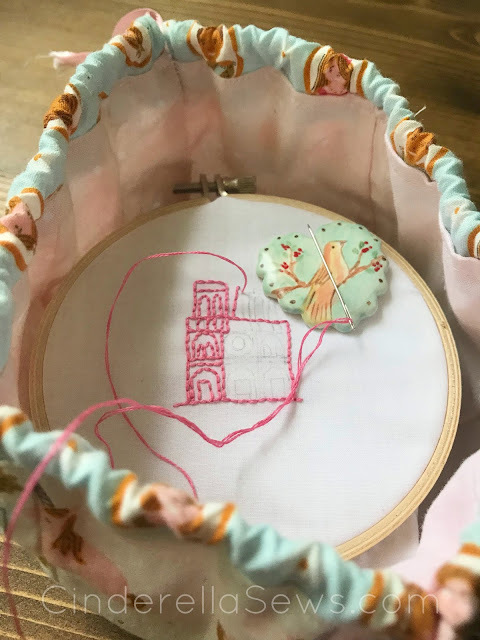 When creating this pattern, I made sure small oval and 4 inch round embroidery hoops could fit comfortably inside my Cinderella Satchel and the drawstring would close completely. Perfect for taking in the car, to ball games, the park, or doctor's appointments, I can whip out my hexies, mini embroidery, or handmade doll parts I'm working on at that time and sew without much fuss. The sewing kit tin keeps my pins and scissors safe, while the satchel holds the rest. I have these sequestered around my house to stitch when my kids are occupied, and then cinch closed and stash up high when they need me. 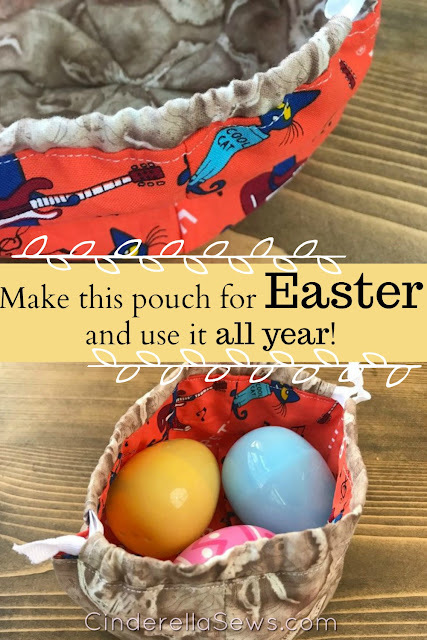 Other than project pouches, I like them for carrying make-up on a long trip, collecting quail eggs and vegetables from our backyard, and holding snacks for zoo trips. Organization keeps me sane! To make the Cinderella Satchel, you'll need to download and print the pattern. 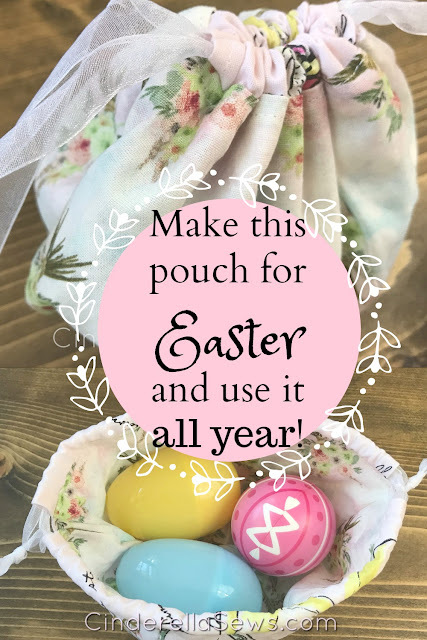 Follow the instructions for assembly, then use an invisible ladder stitch (here is a video tutorial for that) to finish the pouch!